An enthusiastic player turned discerning scout, Dave Hollins was third baseman for the Philadelphia Phillies from 1990 to 1995, and again in 2002, prior to his retirement later that year. Quick, focused, and imposing, Hollins was everything desirable in an infielder. With his powerful throw and fixed frame, he was an unfailing presence on the diamond and a solid player. A native of Buffalo, New York, Hollins began his career playing for the Orchard Park High School Quakers before graduating in 1984. That fall, he attended the NCAA Division 1 ranked University of South Carolina where he played third baseman for the Gamecocks. 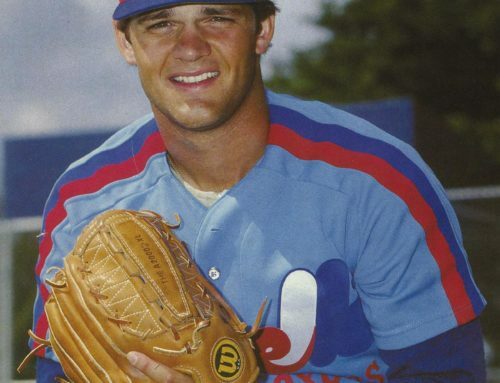 In 1987, Hollins joined Major League Baseball’s San Diego Padres after the sixth round of the amateur draft, though he did not make his official MLB appearance until 1990 with the Philadelphia Phillies. His first year proved successful, with Hollins batting 56 games and playing third baseman for 36 games. He was a member of the 1993 Philadelphia Phillies National League pennant winning team and the 1993 National League All-Star team. In 1996, after four seasons with the Phillies, he was traded to the Boston Red Sox. 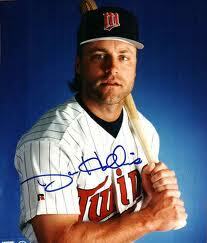 Hollins only played with Boston for a year, until he was traded to the Minnesota Twins in 1996. That same year, he was traded from the Twins to the Seattle Mariners. Hollins played for the Anaheim Angels from 1997 to 1998, until he left to play for the Toronto Blue Jays. In 2001, he played for the Cleveland Indians, until he was traded to the Phillies in 2002. Diagnosed with type 1 diabetes early in his career, Hollins suffered complications resulting from his illness and was placed on the disabled list while playing for the Phillies in 2002. Following the end of the season, Hollins retired. In 2006, the former third baseman began a career as a scout for the Baltimore Orioles. He has continued his career as a scout for the Philadelphia Phillies and works as a spokesperson for Chronic Care Solutions, Inc., a diabetes medical supply company based out of Clearwater, Florida.